I recently taught a fabulous journaling class. The best classes are the ones that inspire you, especially the ones you teach. This one has inspired me to create a Facebook group that offers support and inspiration to the students who attended my class. But then I asked myself, “why stop there?” Wouldn’t it be great to open this up to anyone wanting to start a regular habit of writing in a journal? I know so many people who struggle to make things a habit (including myself), and I know there are many who wish to be journaling more and not less. So I invite anyone wishing to begin a new journaling habit, or anyone wanting to reestablish an old one that’s fallen by the wayside to join us. I invite you to build a better you. Here’s how it works. 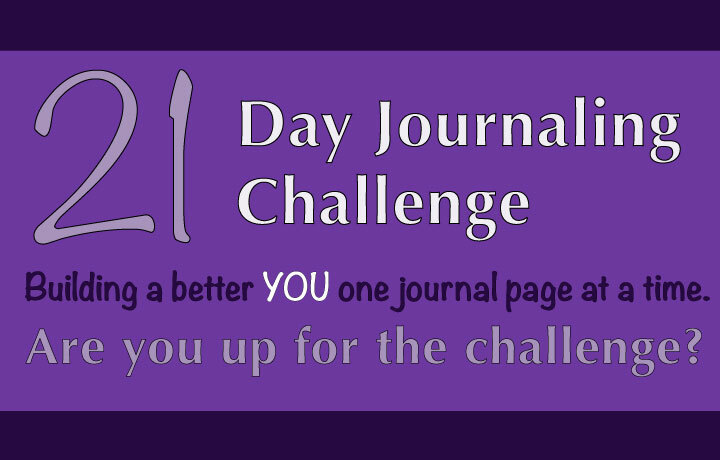 Go to 21 Day Journaling Challenge and join the group, and then start journaling! Each day I will post something inspirational such as a quote or picture. Maybe even a question to ponder in your journal writing. Also feel free to post about your own progress or frustrations, or even snippets of your work. Journaling can be extremely beneficial to all whether you are a writer or not. It can help you understand yourself and the world around you better. It can be a needed release of thoughts and emotions. Or a place to store memories you always want to come back to enjoy. Journaling is an opportunity to not only give yourself a few moments of respite in the chaos of this world, but also to help find yourself. Are you up for the challenge?